Time to say goodbye to fiddly screw attachments? 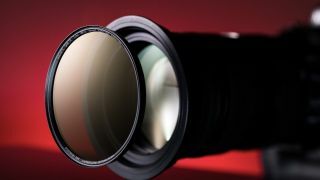 Promising a reinvention of how photographers use circular filters, Breakthrough Photography has announced a new magnetic system that allows circular filters to be instantly attached and removed from the front of a lens. All you do is attach the magnetic adapter ring to the front of the lens and you’re good to go, able to quickly snap magnetic filters of your choice on and off. The filters work with thread sizes of 82mm and smaller. According to Breakthrough Photography, they’ll completely eliminate light leak, and their more efficient design compared to square filters allows costs to be kept comparatively low. The company offers magnetic filters of all major types: polarising, ND (in various strengths), night sky, infrared and UV. The video below shows the filters in action. It features the voice of pro photographer Wade Morales, who says he had no idea what to expect, but having used the filters for a couple of weeks he says he’s "pretty much done with screwing filters on [his] lenses," adding that "it’s amazing to be able to just peel a filter off an snap a new one on." Breakthrough Photography has previous form for interesting and novel filter designs. In 2015 it came up with a ‘traction’ design that provided a more convenient and secure way for filters to be taken on and off lenses. Of course, these aren’t the only magnetic filters on the market. Manfrotto came up with something similar last year in the form of its Xume range, and it’ll be interesting to see how the two ranges compare. The magnetic filter system is available to purchase now from Breakthrough Photography’s website, available with various different functions and densities. Prices start at around $99 (about £75), and a magnetic adapter will cost you $12 (just over £9). Visit the online store for more information.